On obverse, at top, in Devanagari: "Vasati vipina vitane tyajati lalitam api dham. 4. 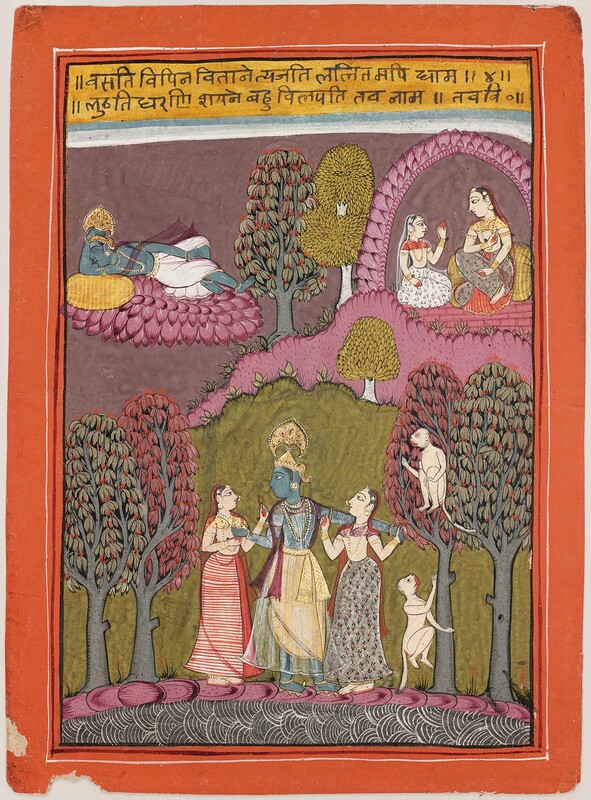 Luthati dharani shayane bahu vilapati tav nam. Tavavi 0." Cummins translation: "Having relinquished his home and all sport, he has taken to living outside [=is living in an outdoor home]. Sleeping restlessly [=rolling asleep] on the ground, he repeatedly calls your name." On reverse, in English, "17th cent?"